Mexican TV revealed the almost unbelievable story – in 2007, a baby ‘alien’ was found alive by a farmer in Mexico. He drowned it in a ditch out of fear, and now two years later scientists have finally been able to announce the results of their tests on this sinister-looking carcass. At the end of last year the farmer, Marao Lopez, handed the corpse over to university scientists who carried out DNA tests and scans. 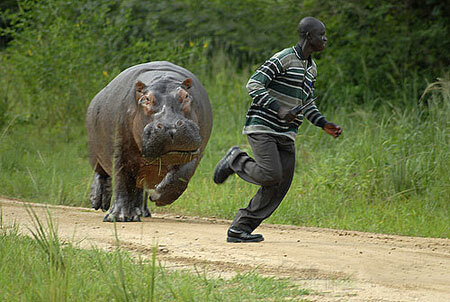 He claimed that it took him three attempts to drown the creature and he had to hold it underwater for hours. Tests revealed a creature that is unknown to scientists – its skeleton has characteristics of a lizard, its teeth do not have any roots like humans and it can stay underwater for a long time. But it also has some similar joints to humans. A person completing a driving exam ran his or her vehicle into the Department of Motor Vehicles building on Castillo Street, causing significant damage to the building. Neither the driver nor the test examiner were injured in the accident, which happened just after 9:30 Thursday morning, August 27. The vehicle jumped a curb and stopped after plowing two feet into the corner of the building on the south side. 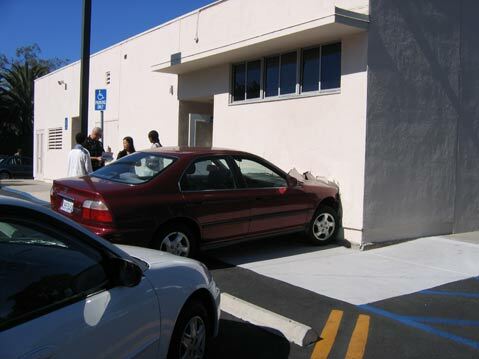 via The Santa Barbara Independent Driving Test Taker Crashes Into DMV Building. Does this look like a spiral to you or just make your eyes wobble? It’s actually a series of concentric circles. The angled squares create the illusion. Trace them with your finger. You’ve heard of insect eating plants…how about a plant that eats rats? Rat-eating plant discovered in Philippines – Telegraph. A 1,145-pound pumpkin from the “Kentucky Pumpkin Mafia” came in first place at the Giant Pumpkin Contest at the Indiana State Fair Sunday, officials said. More at The Great Pumpkin is from Kentucky – UPI.com. Officers recognized [him] because they brought him to a hospital last weekend for a mental health check. Perhaps they need to run that check again. A thief has made a bid for the title of New Zealand’s dumbest crook after providing his name and contact details to a store clerk minutes before grabbing money from the cash register in full view of the Christchurch store’s eight surveillance cameras. There are 15 different ways to lace your shoes at How To Tie Your Shoe Laces. The link is below the image. via How to tie your shoe laces | MailDumper. 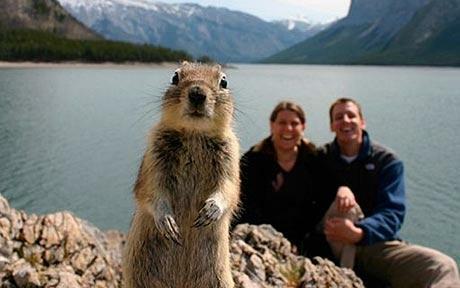 This couple set up their camera, set the timer, posed and then this squirrel popped up in front of the camera just as the timer went off. That’s Lake Minnewanka in Banff National Park, Canada, in the background.